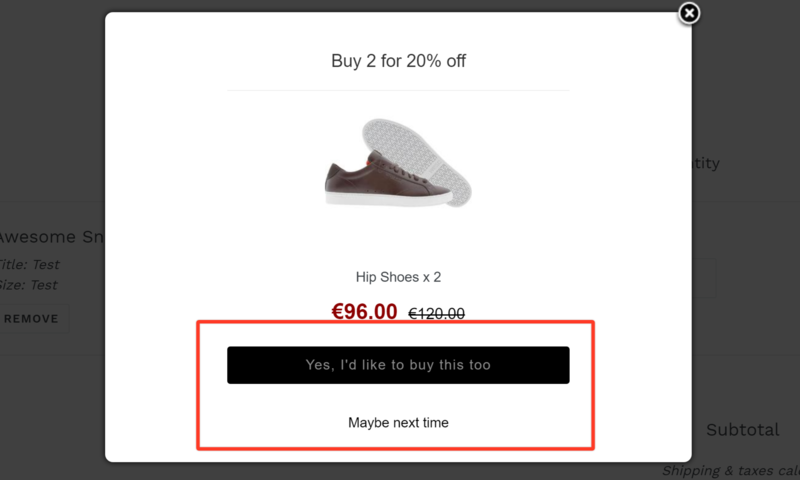 The upsell popups on your test store like the image below have default language settings. However, if you wish to change it or customize the text, you can do so at any time. 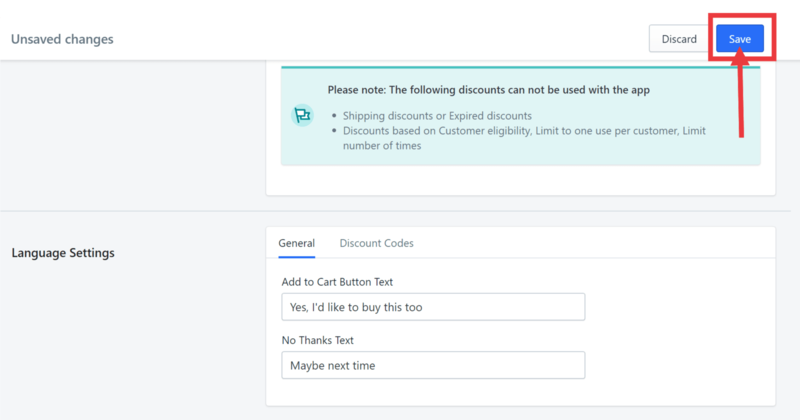 This article will show simple steps on how to change the language settings on the upsell popup box on your test store. Step1. Launch the app and go to Settings. Step2. Scroll down to the Language Settings section. Step3. 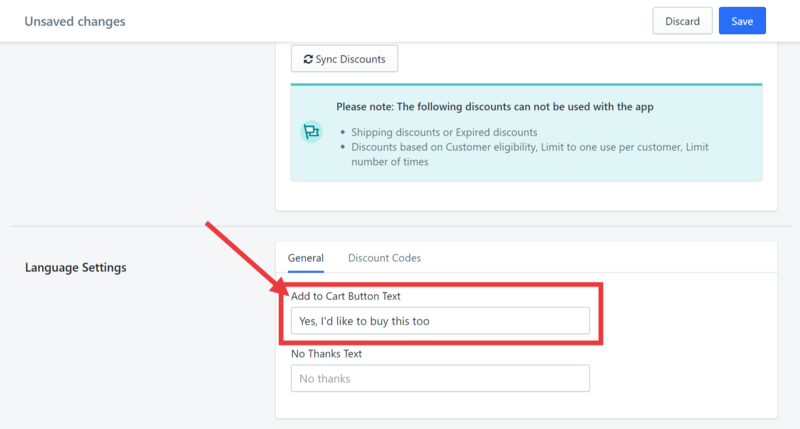 Change the Add to cart button to the text that you prefer. In this example, let us change it to Yes, I'd like to buy this too. Step4. Enter your preferred text for the option to decline. In this example, we enter Maybe next time. Step6. Go back to Offers. Step7. 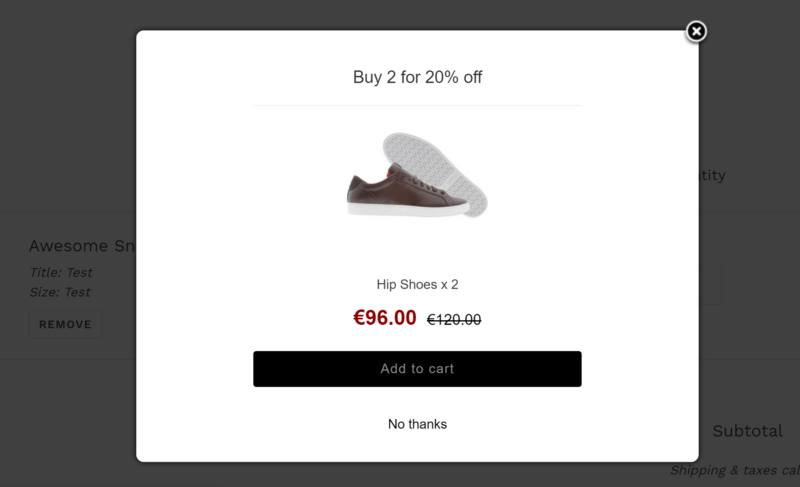 Click the drop-down arrow on the offer and choose Test. Step8. Click See the upsell in action. Can i change the upsell popup location?